Within days of its release, almost half of iPhone and iPad owners were running Apple’s latest operating system, iOS 8. Billed as “the biggest iOS release ever,” the new software allowed users to enter their voices into text messages and introduced a new fitness app. But less visible to the average user, all devices running the new software would be encrypted by default, an added security measure that Apple says would keep users’ data safe from cybercriminals and security breaches. It’s a feature that has worried law enforcement officials and created a new challenge to the government as it attempts to balance public safety and privacy rights. Apple considers the new encryption to be in its best business interests. In the wake of National Security Agency contractor Edward Snowden’s leaks about the agency’s surveillance tactics, technology companies have come under fire for turning users’ information over to law enforcement. With its latest software, Apple encrypted its devices so that even it would not be able to access the data stored on customers’ devices. By essentially locking the door and throwing away the key, Apple made it impossible for law-enforcement agencies to compel the company to turn over customer data stored on the phones. Apple’s competitor Google announced a similar development in its recently released Android operating system, Lollipop. Law enforcement agencies immediately balked, noting in some cases it would become impossible for them to access needed information on phones even after obtaining a proper search warrant. FBI director James Comey sounded the alarm about the so-called dark devices just days after Apple announced the update at its conference in September. The new end-to-end encryption jeopardizes a method frequently used to investigate and prosecute crimes in Boston. Two recent high-profile cases against former Patriots tight end Aaron Hernandez and the friends of accused Boston Marathon bomber Dzhokhar Tsarnaev rely heavily on text messages. The Boston Police Department did not respond to multiple requests for comment on the new phone technology. Privacy advocates have welcomed the development, arguing a backdoor for law enforcement agencies to access phone information inevitably led to vulnerabilities that could be exploited by hackers and cyberterrorists. During his remarks at the Brookings Institution in Washington, Comey said he hoped lawmakers would take up the issue and take action to ensure the FBI can access information it needs for investigations legally. Weighing privacy concerns with public safety presents a challenge to those in Congress who have long advocated for civil liberties. Massachusetts Senator Edward Markey has a track record as one of the most fervent supporters of privacy rights in Congress. But he reacted to the new technology with some caution. “We need to construct a balance between police requests for information and legitimate privacy concerns and the need for American companies to innovate,” Markey said. 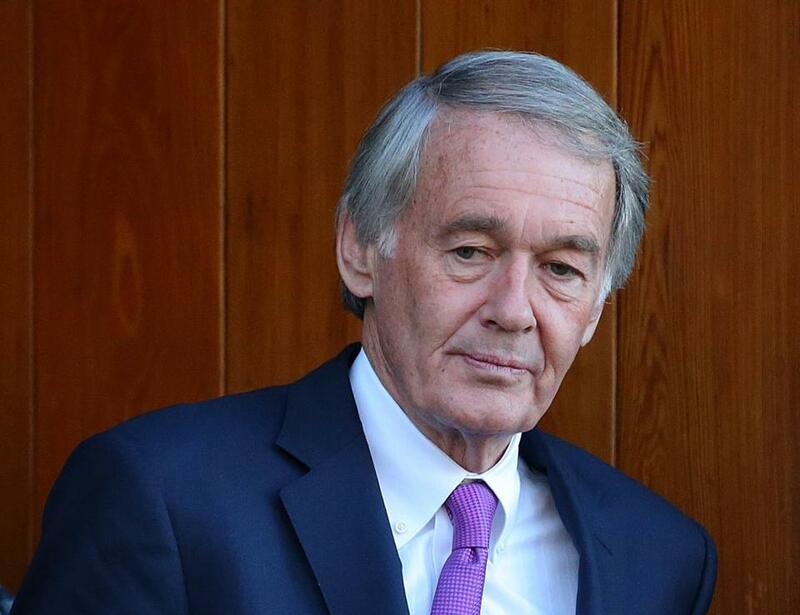 While serving in the House in the 1990s, Markey said, he led the charge on a similar fight over the Clipper chip, technology that would have allowed the government, with court approval, to override the personal codes people used to protect their telephone communications. Privacy advocates argued such a provision would result in insecure communication systems. Markey’s balanced answer comes as the senator pushes for legislation that would reform National Security Agency surveillance and after he recently led an investigation into the number of national security requests phone companies receive from law enforcement agencies annually. On Monday he launched an inquiry into the Department of Justice about a Wall Street Journal report on a government program that collects Americans’ phone location data through aircraft. As more and more phones use the new operating systems, meanwhile, law enforcement agencies are finding workarounds to access information stored on the phones. Under the Fifth Amendment, Americans do not have to turn over their passcodes to police during investigations. However, they are required to turn over DNA or physical objects. Earlier this month a circuit court in Virginia ruled police could use this loophole to require people to unlock their iPhones using their thumbprints if they have activated Touch ID, an Apple verification feature that allows you to unlock your phone using your finger. Comey says these loopholes may not be enough when law enforcement agencies have to act quickly, such as in a kidnapping. Cat Zakrzewski can be reached at cat.zakrzewski@globe.com. Follow her on Twitter @Cat_Zakrzewski.